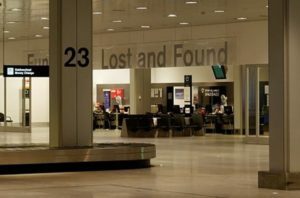 Lost or Damaged Luggage? File a Claim. Like many frequent travelers, I’ve learned never to check luggage unless it’s completely unavoidable. There are two primary reasons for this. One is the lack of flexibility when flights are delayed or cancelled. Being nimble by carrying on all your luggage gives you far more options to quickly change flights and connecting cities. This greatly increases your chances of getting to your destination sooner. Having checked luggage when things go wrong with flights (and they often do) can severely limit options and needlessly delay arriving at your destination. The second is the concern that your luggage may not show up at your destination when you do. This can cause a plethora of problems that are just best avoided. I much prefer to prevent having to choose between showing up in my jeans to deliver a keynote speech or spending $1,000 in a panic to replace dress clothes. For those reasons I’ve become a light and efficient traveler who can fit everything I need into carryon baggage for even a two-week trip. This means I always carry on two items, the largest roller board that legally qualifies and an efficiently designed backpack. This certainly qualifies me as an overhead bin hog and further necessitates my being one of the first people on the plane in order to stow my bags ahead of all the other overhead bin hogs. Being first to board a plane isn’t that difficult; it simply requires having a credit card issued by the airline. Of course, not all travelers are compulsive/obsessive road warriors. Sometimes you just want or need to check your luggage. What do you do if your luggage shows up damaged at baggage claim or doesn’t show up at all? Surprisingly, what most travelers do is nothing. To be specific, 87% of travelers don’t even file a claim when their luggage has been damaged, delayed, or lost, according to a survey of more than 2,000 travelers done by AirHelp. Even though under the Montreal Convention (which has been ratified by 120 countries) and U.S. federal law, passengers may be entitled to claim between $1,525 and $3,500 in compensation from the airline at fault, over $6 billion in compensation is left unclaimed by travelers every year. AirHelp’s survey results show three main reasons why passengers did not file a claim for compensation due to luggage issues: they did not think they would be entitled to compensation (41%), they were not aware of their rights (31%), and they did not know how to file a claim (29%). Clearly travelers are leaving money owed to them in the hands of the airlines. If your luggage is delayed, lost or damaged, you must file a claim, either online or, preferably, before leaving the airport. This requires completing a Property Irregularity Report (PIR) claim for misplaced luggage, including the case number of your bags. The more detailed the claim, the better off you will be. This means including an itemized list of the contents and each item’s value. I recommend creating this list on your phone, including photographs, before you begin your trip. Filing a claim does not guarantee you’ll receive compensation, but with enough supporting data and pictures, you very well may. However, failing to file guarantees you’ll get nothing. It’s just as futile as complaining about the weather.